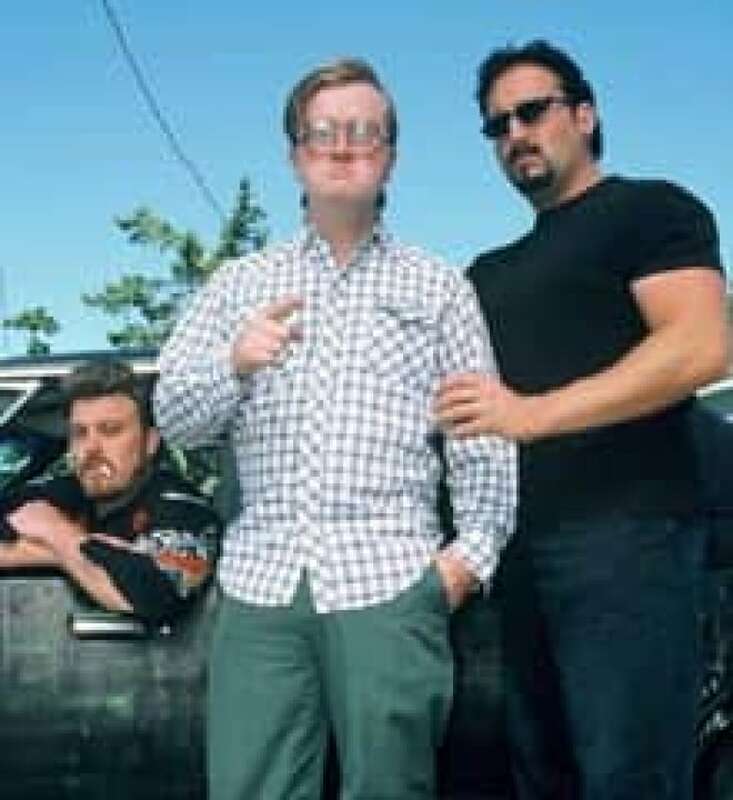 Trailer Park Boys: The Movie and Bon Cop, Bad Cop, one of the top-grossing films in Canadian history, have been nominated for a Genie Award for best picture. Trailer Park Boys: The Movie and Bon Cop, Bad Cop, one of the top-grossing films in Canadian history,were nominated Tuesday for a Genie Award forbest picture. Guide de la petite vengeance (The Little Book of Revenge): Jean François Pouliot's witty tale about an accountant who takes revenge on his psychotic boss. Un dimanche à Kigali (A Sunday in Kigali): Robert Favreau's film about a romance between a white journalist and a black woman in 1990s Rwanda. 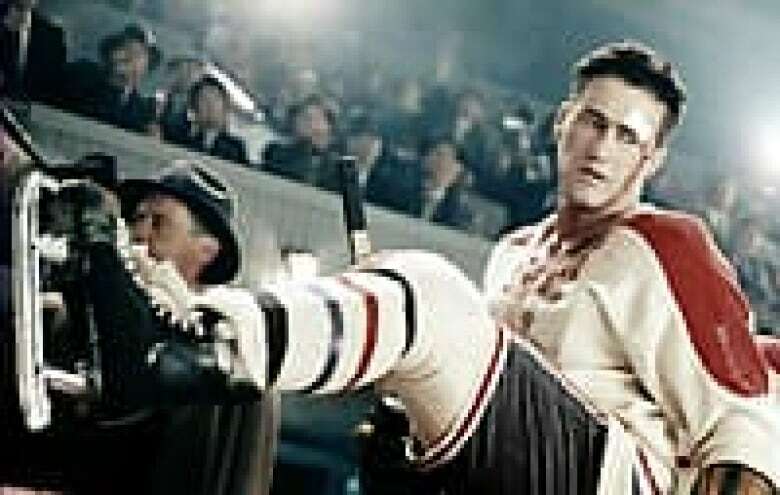 Maurice Richard/The Rocket: Charles Binamé's film, a hit in Quebec, about Montreal Canadiens hockey legend Maurice Richard. The Rocket has a leading 13 nominations, including best director, best screenplay and best cinematography, and Bon Cop has 10. A Sunday in Kigali has seven nominations, including two for acting. 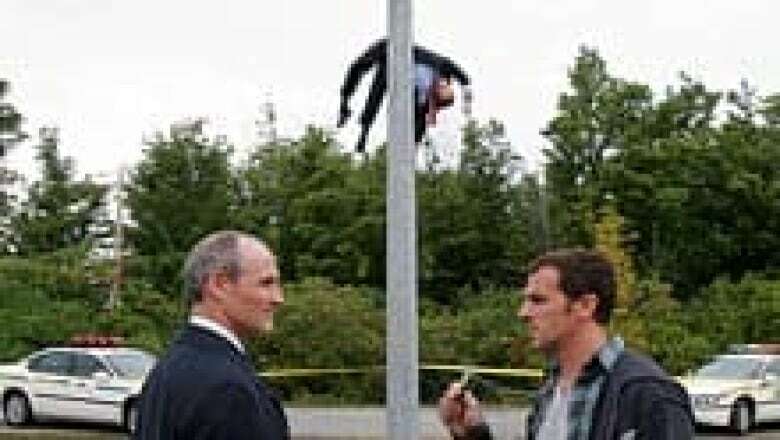 Colm Feore and Patrick Huard, who play bickering cops from Ontario and Quebec in Bon Cop, are up for best actor Genies. They are competing with Roy Dupuis, who plays Maurice Richard in The Rocket, Olivier Gourmet of Congorama and Luc Picard of A Sunday in Kigali. Bon Cop also won nominations for best direction, cinematography, art direction and original song. Jodelle Ferland, who plays a girl disturbed by the death of her mother in Tideland, and Sigourney Weaver, who plays an autistic woman in British-Canadian co-production Snow Cake, have been nominated for best actress. Also nominated for best performance in a leading role are Julie Le Breton, who plays Lucille Richard in The Rocket, Fatou N'Diaye, who plays the love interest in A Sunday in Kigali, and Ginette Reno of Le Secret de ma mère, a filmabout the secrets that emerge when a Québéçois family is reunited for a funeral. Bon Cop's Érik Canuel and The Rocket's Charles Binamé are vying for best director honourswith Robert Favreau of A Sunday in Kigali, Jean François Pouliot of The Little Book ofRevenge and Stéphane Lapointe of The Secret Life of Happy People. Jennifer Baichwal's Manufactured Landscapes, based on the work of photographer Edward Burtynsky, is one of only two films nominated in the best documentary category. "We're thrilled. We're so honoured," she said in an interview with CBC Arts Online. "What it's done is recognize in my mind the excellence of everyone who worked with us on the film," she said, adding that she has to credit the artistry of Burtynsky himself as well as her crew. There may not have been a lot of feature-length documentaries that had theatrical release, now a requirement for Genie nomination, she said. The other film competing in the documentary category is La planète blanche (The White Planet), a French-language documentary about animal lifein the North Pole. The Genie Awards gala, given annually to celebrate the best in Canadian cinema,is Feb. 13. Trailer Park Boys:The Movie: Hugh Dillon. Whole New Thing: Robert Joy. Eve and the Fire Horse: Chan Chit Man Lester. Maurice Richard/The Rocket: Stephen McHattie. Guide de la Petite Vengeance/The Little Book of Revenge: Michel Muller. La Vie secrète des gens heureux/The Secret Life of Happy People: Marie Gignac. Snow Cake: Carry Anne Moss. Eve and the Fire Horse: Vivian Wu. Bon Cop, Bad Cop: Jean Bécotte. Eve and the Fire Horse: Mary-Ann Lui, Athena Wong. La Rage de l'ange/Angel's Rage: Francois Séguin. The Journals of Knud Rasmussen: Michelline Amaaq. Eve and the Fire Horse: Sandy Buck. Maurice Richard/The Rocket: Francesca Chamberland. The Secret Life of Happy People: Annie Dufort. Bon Cop, Bad Cop: Bruce Chun. Beowulf & Grendel: Jan Kiesser. Bon Cop, Bad Cop: Jean-Francois Bergeron. The Secret Life of Happy People: Pierre Desroshers. Beowulf & Grendel: Hilmar Orn Hilmarsson. Sans Elle/Without Her: Jean Robitaille. In a Heartbeat from Eighteen, Bramwell Tovey, Richard Bell. L'Astronaute from Angel's Rage, Dan Bigras. Trace-Moi from La belle bête/The Beautiful Beast, Patrick Watson, Caroline Dhavernas. Tattoo from Bon Cop, Bad Cop, Eric Lapoint, Stéphane Dufour. Have Hope from Unnatural & Accidental, Jennifer Kreisberg. Eve and the Fire Horse: Daniel Pellerin, Gashtaseb Ariana, Jeff Carter. The Rocket: Claude Hazanavicius, Claude Beaugrand, Luc Boudrias, Bernard Gariépy Strobl. Bon Cop, Bad Cop: Dominique Chartrand, Gavin Fernandes, Nathalie Morin, Pierre Paquet. Tideland: David Lee, Douglas Cooper, Robert Farr. A Sunday in Kigali: Marie-Claude Gagné, Claude la Haye, Hans Peter Strobl, Bernard Gariépy Strobl. Cheech: Pierre-Jules Audet, Guy Francoeur, Guy Pelletier. The Rocket: Claude Beaugrand, Olivier Calvert, Jérome Décarie, Natalie Fleurant, Francine Poirier. Bon Cop, Bad Cop: Christian Rivest, Valéry Dufort-Boucher, Tchae Measroch. A Sunday in Kigali: Marie-Claude Gagné. Beowulf & Grendel: Jane Tattersall, Barry Gilmore, David McCallum, Donna Powell, Dave Rose. The Little Book of Revenge: Ken Scott. Le Secret de ma mère: Martin Girard, Gyslaine Coté. The Secret Life of Happy People: Stéphane Lapointe. Trailer Park Boys: The Movie: Mike Clattenburg, Robb Wells. A Sunday in Kigali: Robert Favreau, Gil Courtemanche. Manufactured Landscapes: Jennifer Baichwal, Nick de Pencier, Gerry Flahive, Daniel Iron, Peter Starr. La planète blanche/The White Planet: Jean Lemire, Thierry Piantanida, Thierry Ragobert. Big Girl: Renuka Jeyapalan, Anneli Ekborn, Michael Gelfand. Hiro: Matthew Swanson, Oliver-Barnet Lindsay. Jack et Jacques: Marie-Hélène Copti. Le Rouge au Sol/Red: Maxime Giroux, Paul Barbeau. Snapshots for Henry: Teresa Hannigan, Charlotte Disher. The Danish Poet: Torill Kove, Lise Fearnley, Marcy Page. Histoire tragique avec fin heureuse/Tragic story with a Happy Ending: Regina Pessoa, Patrick Eveno, Abi Feijò, Jacques-Rémy Girerd, Marcel Jean. The Genie Awards are administered by the Academy of Canadian Cinema & Television. They werefounded in 1979 to promote and celebrate the growing Canadian film industry. The first awards, held at Toronto's Royal Alexandra Theatre, took place on March 20, 1980.